ROSE COTTAGE has been newly renovated and refurbished to a very high standard offering luxury period accommodation for up to 6 people in 3 bedrooms with all of the modern facilities to make your stay as luxurious, comfortable and memorable as possible. FREE WI FI. The cottage is full of character and charm and is set on a Farm in 600 acres of private farmland where visitors are welcome to explore the surrounding meadows, woods and lakes. Fishing available. Brand new Tennis court, newly installed, on site - Available time slots each morning. 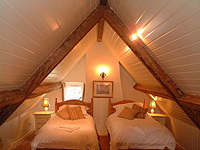 Located within easy reach of the Jurassic coastline and the renowned Hardy country. Nature Trail. Table tennis in the Games Room. 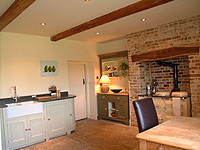 The cottage offers luxury self-catering accommodation - Awarded with the Visit England FIVE STAR award for 2019 and is situated in Tincleton, a quiet village of Dorset in the heart of Hardy's Wessex. The county town of Dorchester is only 5 miles away and The World Heritage Coast and Weymouth Bay 10 miles. Although extremely accessible to the numerous local attractions, pubs, restaurants and shops, the property enjoys an idyllic rural location set in 600 acres of farmland. For nature lovers this is absolute paradise with miles of beautiful woodland and riverside walks. 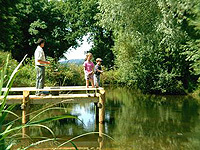 Fishing platforms have been constructed to enable children (and adults) to learn to fish on private lakes and a nature trail follows the meandering River Frome, renowned for its brown trout and greyling fishing, which is also available to guests by arrangement. The water meadows are rich in wildlife and the River Frome is now a recognised Site of Special Scientific Interest due to its populations of rare species such as the otter and water vole. The farm has cattle in the meadows, salad crop production and a Garden Furniture business, Tincleton Lifestyle Centre where Guests are always made welcome and are free to explore the farm and the surrounding area. Rose Cottage has a large secluded garden with garden furniture and barbecue. The cottage is set within 600 acres of idyllic private farmland and visitors are welcome to explore the meadows and woodland with private Nature Trail. Fishing available on the River Frome and children's fishing on Lakes. Tennis. Table tennis in the games room. A private all weather tennis court within 50 metres of the property is also available . Dorset offers excellent beaches and glorious countryside to explore, situated in the South of England Dorset's most famous beach is the Jurassic Coast, which offers amazing views and the chance to find a real piece of history in the form of a fossil. In the heart of Hardye Countryside. In short Dorset is the perfect place to come and enjoy either its countryside or beaches with miles of untouched beaches and quaint little villages to explore you are never short of things to do. All within a short drive: Monkey World, Athelhampton House and Gardens, Farmer Palmers, Jurassic Coastline, Bovington Tank Museum, Kingston Maurward Animal Park, Dinosaur Museum, Tutankhamen Museum, Poole Park, Weymouth, Studland beaches, Lyme Regis, Thomas Hardye's Cottage, Abbotsbury Swannery, numerous Restaurants, Pubs etc.